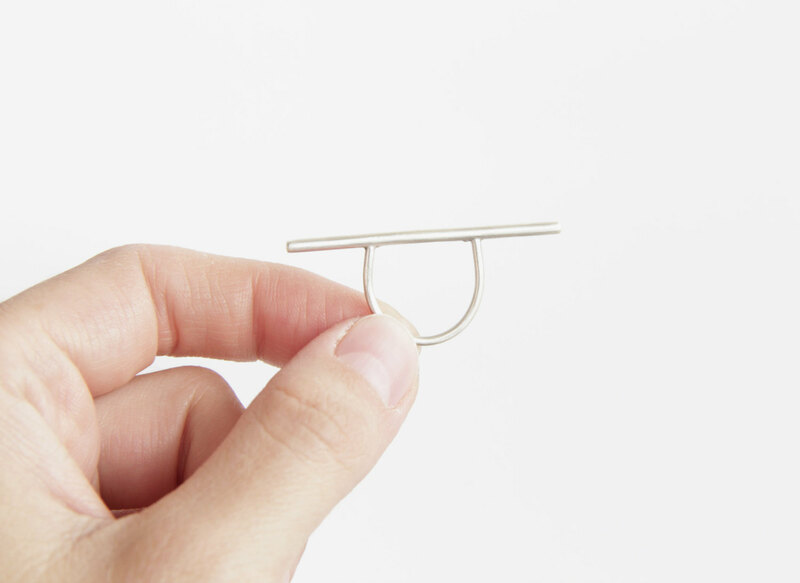 - The bar is made of 2mm sterling silver round tube (hollow), measures 4.2cm (1.65 inches) in length. - The thin band is made of solid sterling silver, 1.65mm thick. 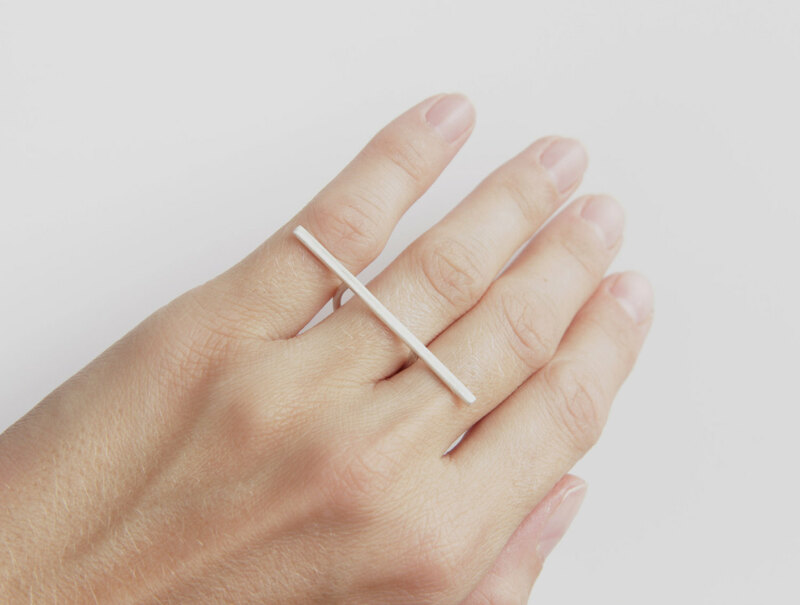 - The ring has a bright matte finish.